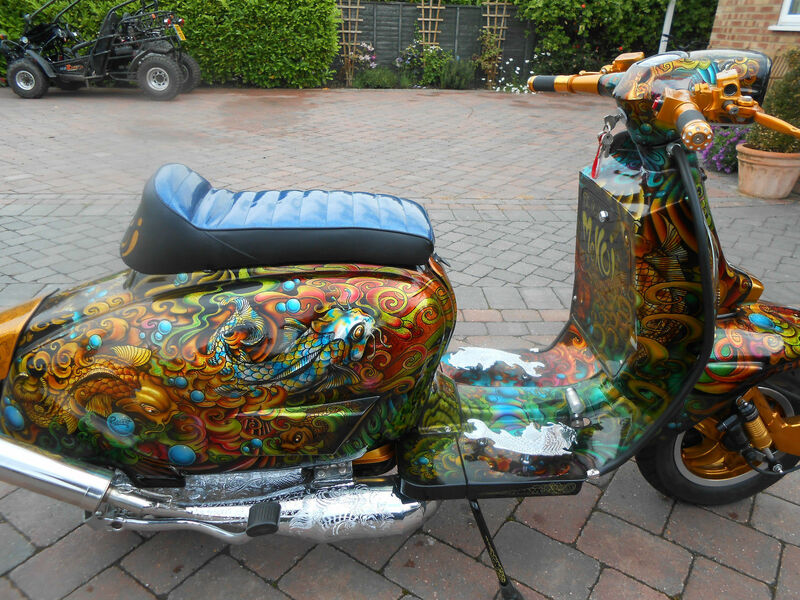 This scooter for sale on eBay is the absolute business. 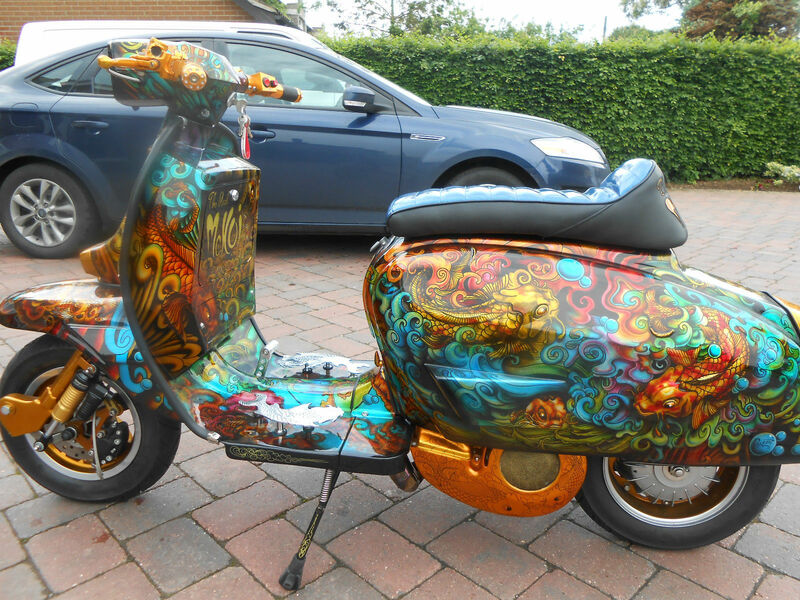 Usually, I can take or leave custom paint… but this is gorgeous… and I just ‘get” the whole concept of this scooter. 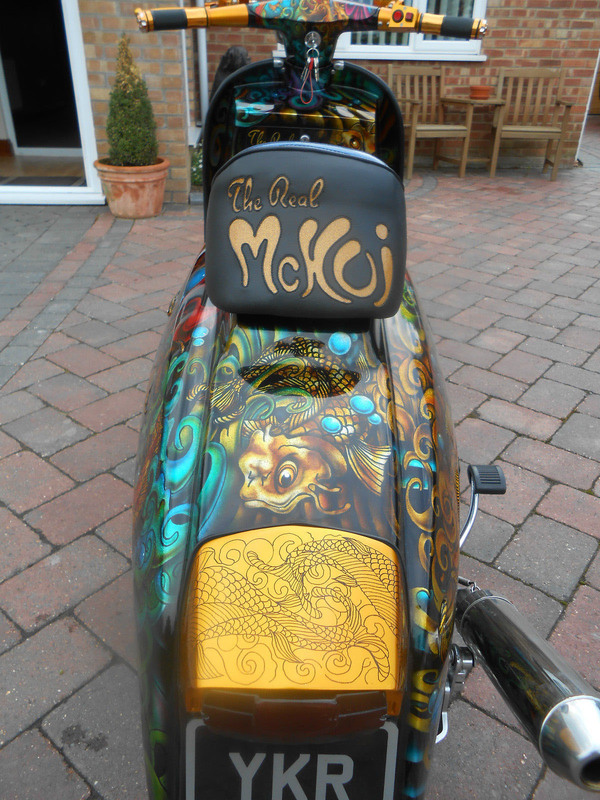 The Real McCoy means “the genuine article” and this scooter is certainly that. 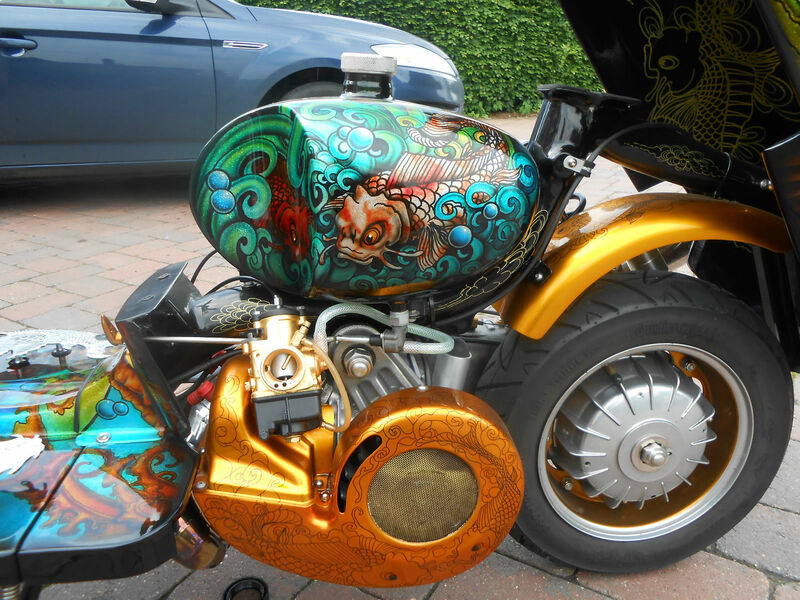 No expense has been spared in the build, with owner going “straight to the top’ and getting all the work being done by some of the best in the business… The paint is by Ty Layer ( Pageant Paiintwork ), Engraving by Adi Clark, Seat by Corky, 250cc Twin Targa Engine build by Stuart from the 100 MPH Lambretta Club, Hydraulic Clutch by Chris Sadd. 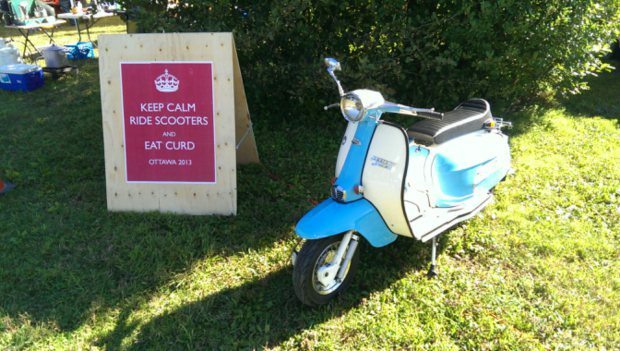 Apparently, the Ottawa Curd Vintage Scooter Rally is not to be missed… CURD? Yep. You Heard. CURD. So I thought, what’s that all about, must be an acronym for something. Canadian Urban Riders Day or something. Nope. It stands for CURD. The squeaky cheese stuff. Now I’m partial to a spot of cheese myself… and Curd is the key ingredient in Poutine …a French Canadian dish made from french fries, gravy and cheese curd. Sounds like perfect rally fodder. 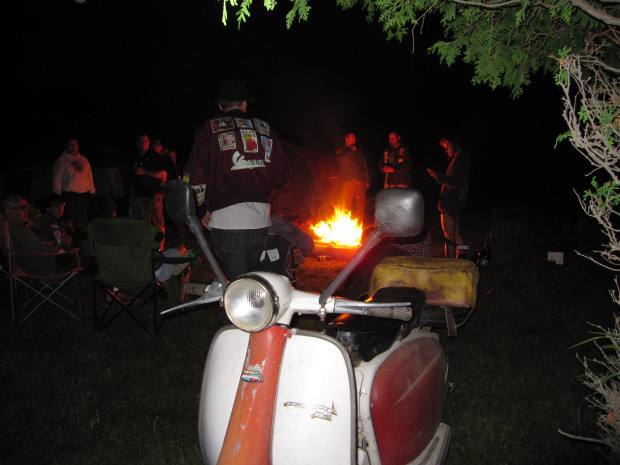 There will be Poutine a plenty, drinks, camping, games, friendship and some great group rides. 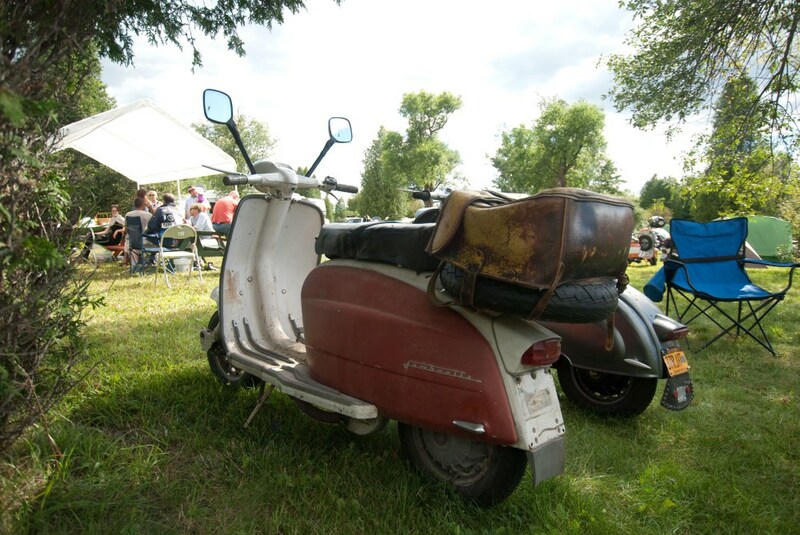 Check out these pics from last years event. One of the movers and shakers, and key sponsors of the CURD Rally is Corey Fraser, one of my readers who puts me right when my limited knowledge lets me down. 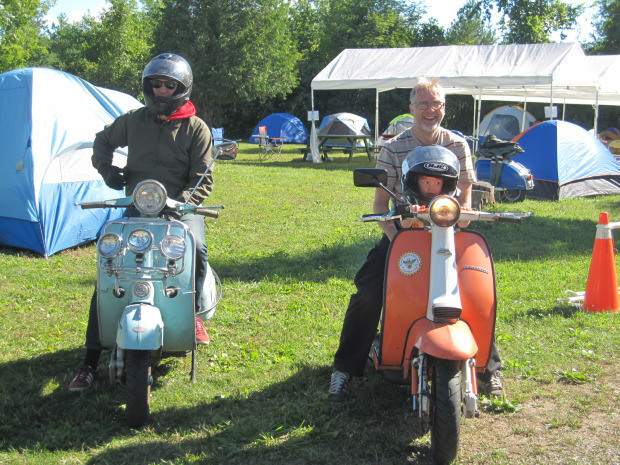 He’s owned and ridden Lambrettas (and those other scooters …the ones starting with V) for over 25 years, and runs Scooter Fix, providing a full restoration and repair service out of Ottawa, Ontario, Canada. Here’s their Facebook page. 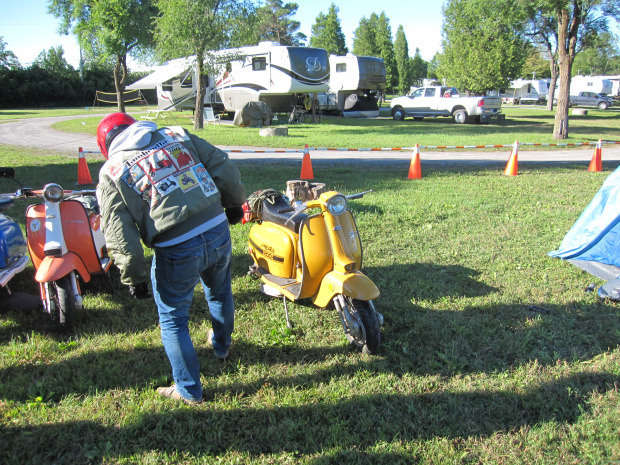 Corey is also rebuilding the raffle prize… a 1964 LI150. 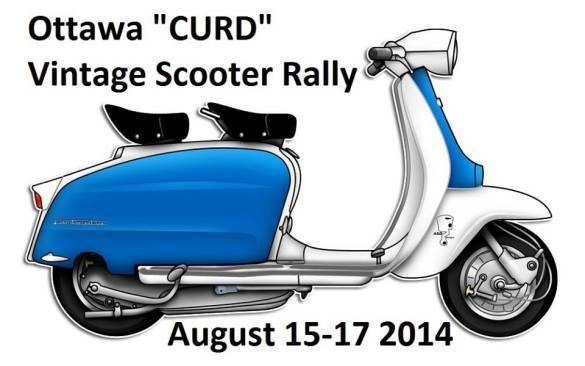 Here’s the CURD Rally website, and Facebook page. 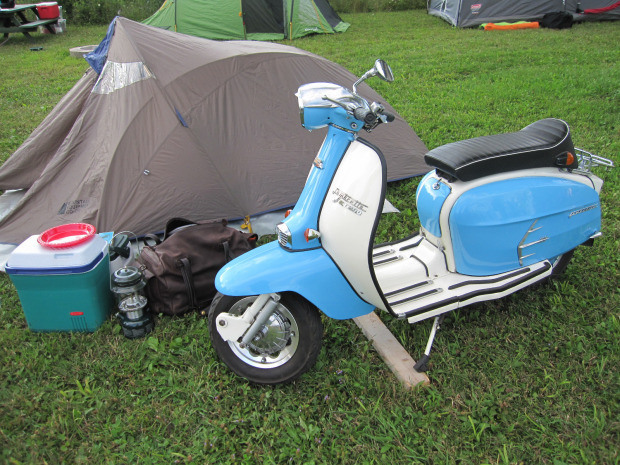 Oh, and if you go… send me some pics and a report… I’ll stick it on the blog! Didier, or to give him his full appellation “Lord Didier Coquoz” sent me this pic via the blog’s Facebook page. 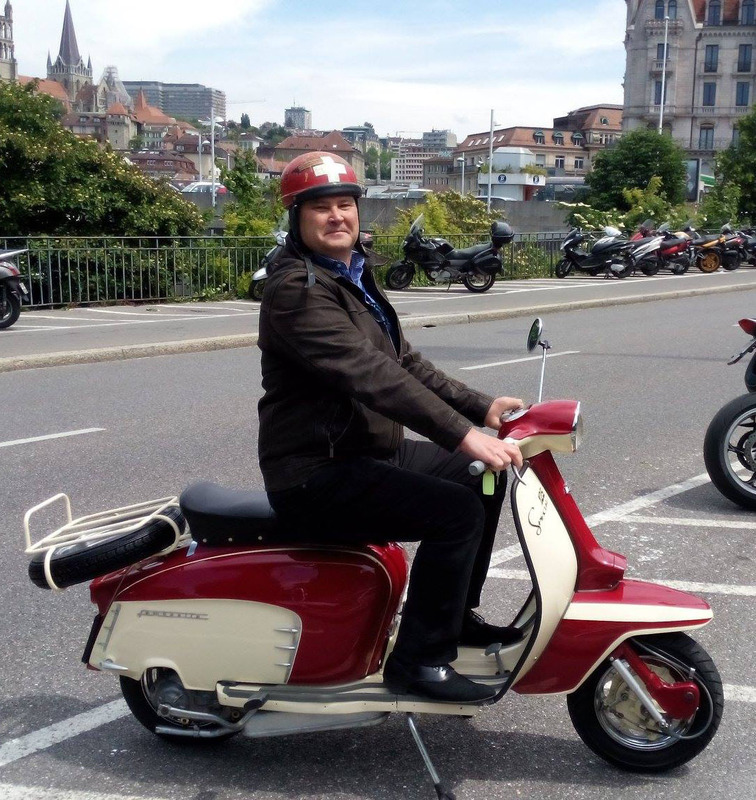 He’s astride his ’66 150 Special, and particularly proud of his original 1960’s helmet, hand painted by himself “when he was a kid, a couple of weeks ago!” You may spot that he is Swiss. 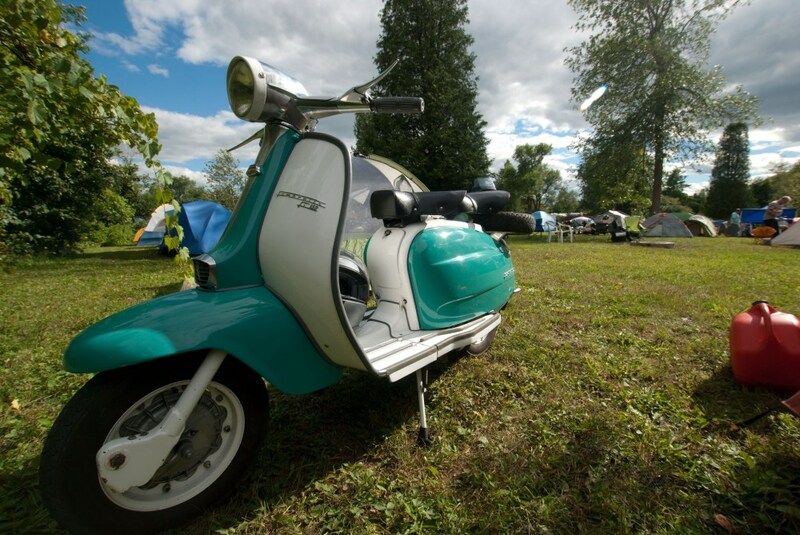 That scooter (restored by lambrettista.ch) looks worthy of a few close ups! I’ve never met Didier, but I already know he enjoys a laugh. If I’m ever in Switzerland, I’d love to share a Toblerone with him! 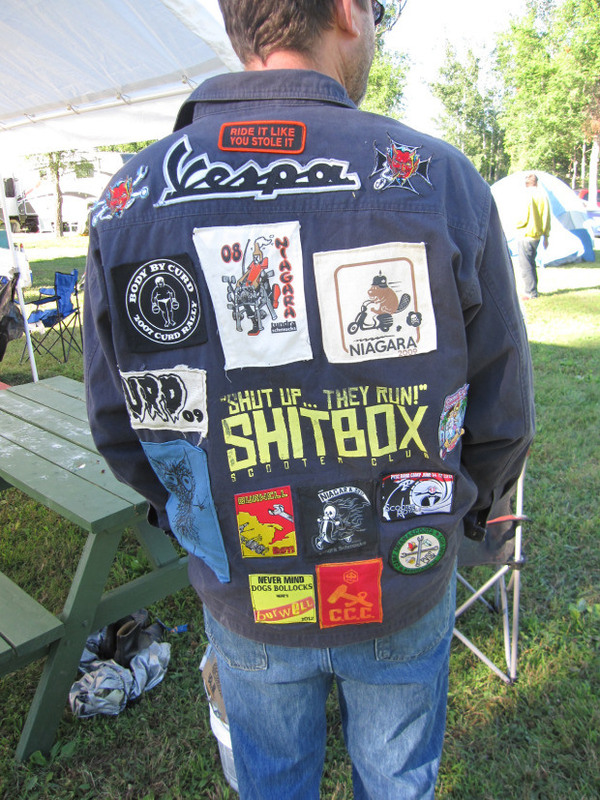 Anybody who attended a scooter rally in the 80’s or 90’s will know the name Tony Class. 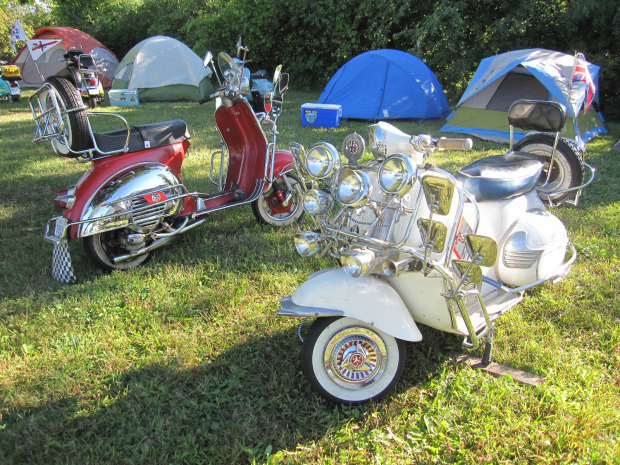 A larger than life character who loved the scene, the music and the scooters, Tony was one of the few who kept the scene going through difficult times. He sadly lost his battle with illness last month. 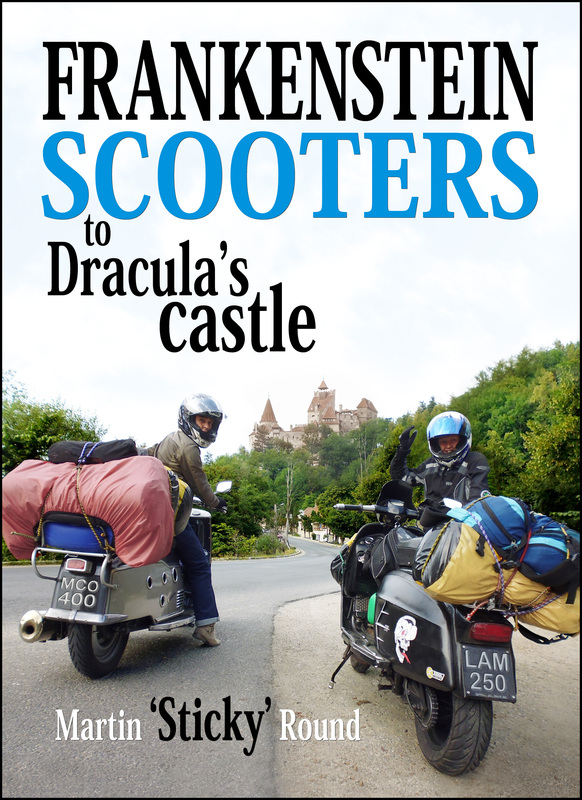 Scootering magazine has written a piece here. My condolences to his family and many friends. These videos are worth a watch too. 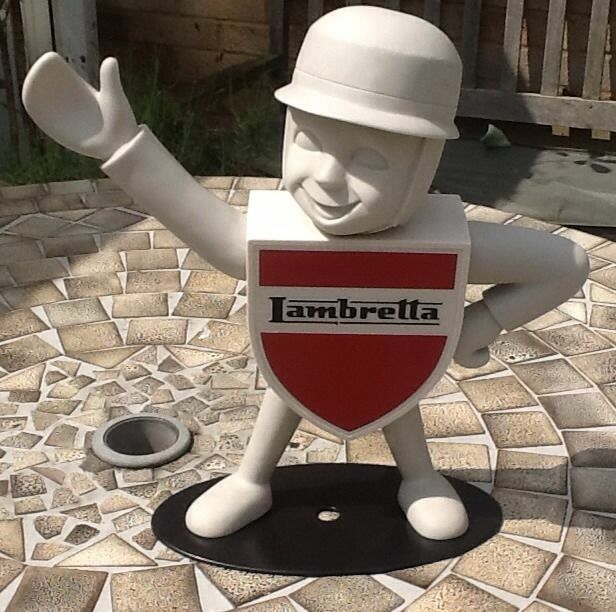 These little beauties come up occasionally on eBay, and I always think they’s make the perfect gift for any Lambretta enthusiast. 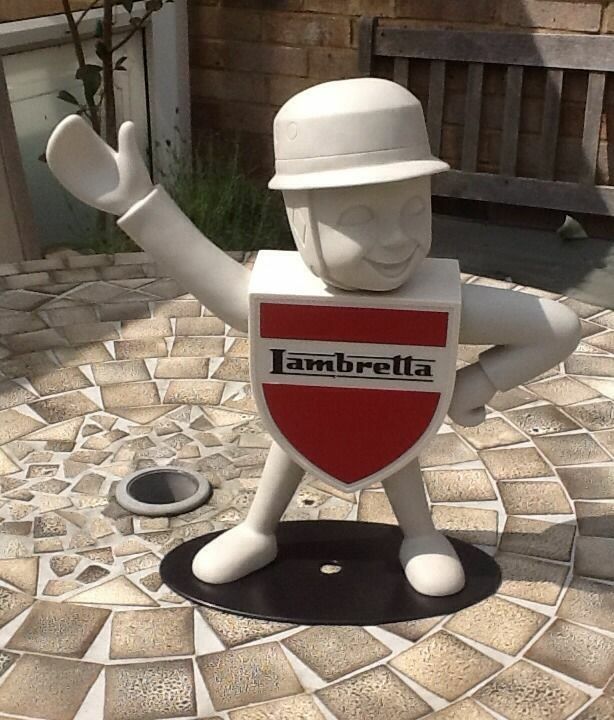 They were originally a promotional items for Lambretta clothing stores. 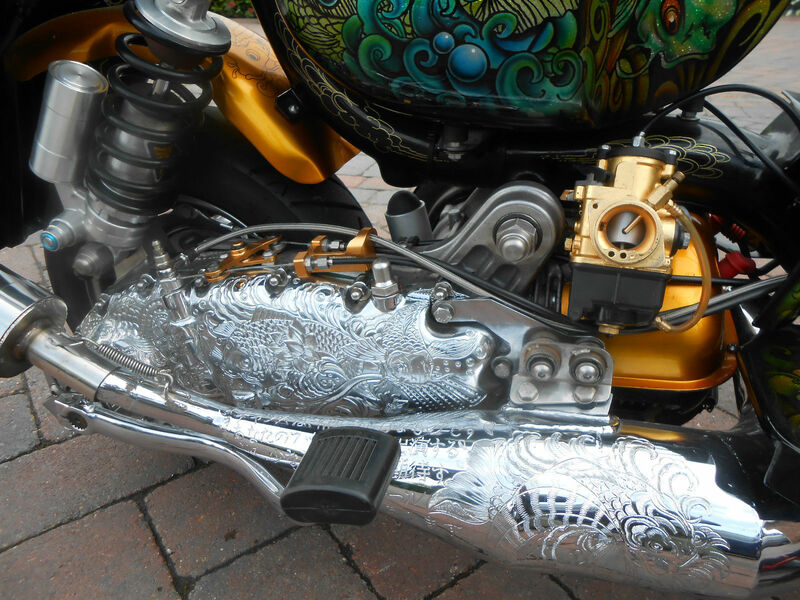 I think it’s a real headturner… and in fact the head does turn from left to right. 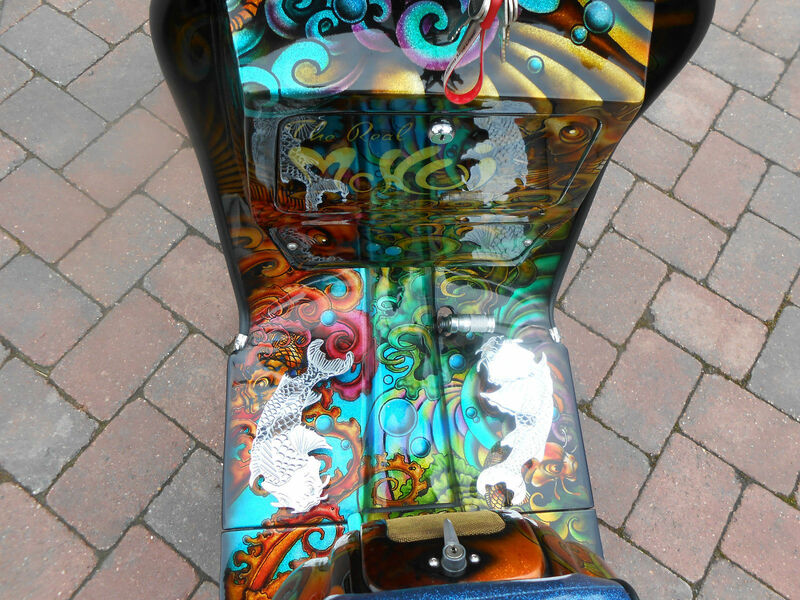 This one started at £20, and it’s already up to over £100, with 9 days to go. 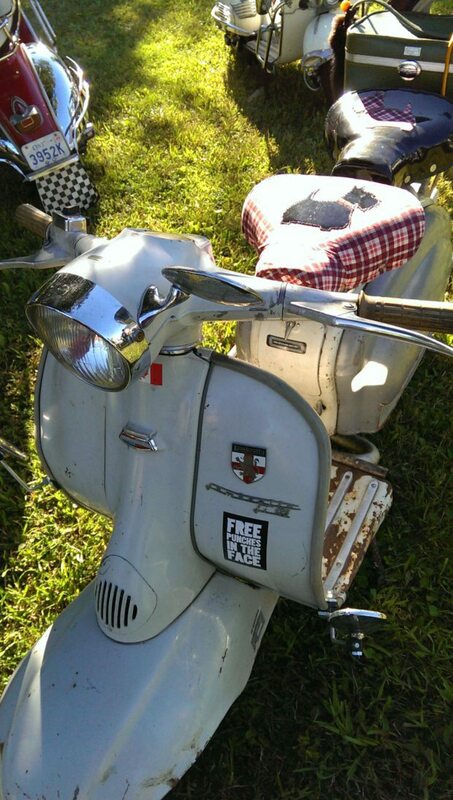 Here’s the ebay link. 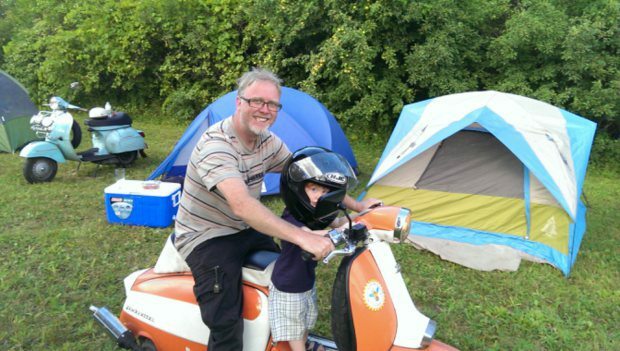 The blog’s been a bit a quite lately, as I’m just back from a week in the sun with the family, but for those of you who are interested, it’s going great guns. I’ve just had my best month ever, and it’s clicked over 100,000 total views… which I know is tiny in internet terms, but pretty impressive in my mind for a little hobby blog. I’ve also had correspondence from all over the world, notably the US, Canada and South Africa, all of which is much appreciated. 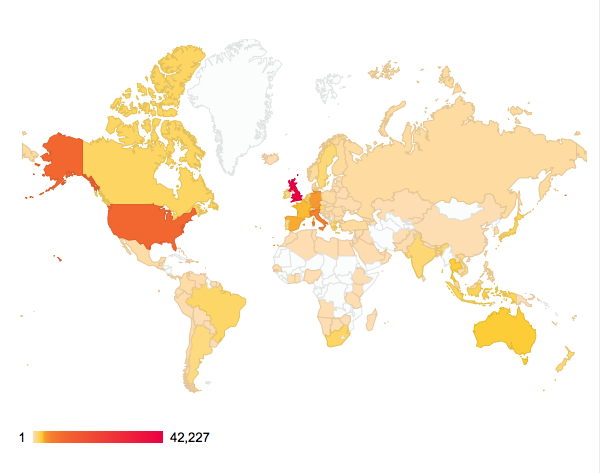 The blog is read pretty much globally, 139 countries at the last count, from Albania to the Uraguay. Which is nice. 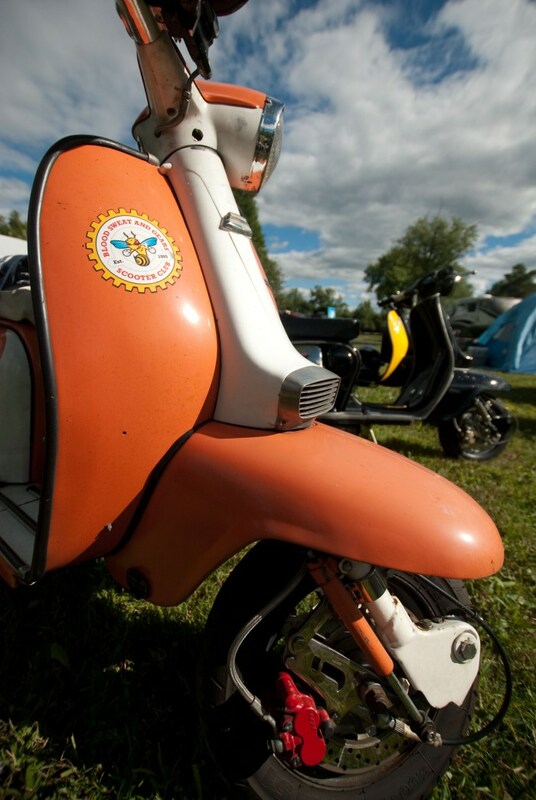 If you’ve ever though about getting in touch, with your Lambretta pics and stories please do, wherever you are in the world. That’s what it’s all about!